After many many years of telling and helping people tell their stories, I have finally written my own. It is called Living Up To A Legend, My Adventures With Billy Bishop’s Ghost, published by Dundurn Press this past spring. My grandpa Billy died when I was only three, so I never knew him. But he lived on for me with mythical status because of all the books, movies, the popular musical Billy Bishop Goes To War, as well as the stamps, streets, cafés, bars, buildings, a mountain in the Rockies and two airports named after him. Billy embodied the qualities I thought a hero should have. He set his sights really high and accomplished great things. And he showed remarkable courage in the face of adversity. My grandpa Billy inspired many people and I, too, have looked up to him as a role model to motivate, guide and help me define who I am and what I want to be. 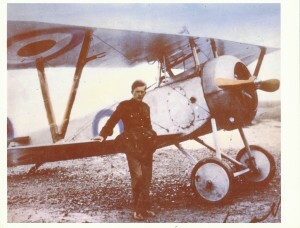 Billy Bishop was not the only person in my family history where I found a hero. My great-great grandfather was Timothy Eaton, founder of the Eaton’s Department store, which was once Canada’s largest retailer. Timothy became a hero to me, not only for the successful business he built, but for being a great leader who cared about his customers and his staff. 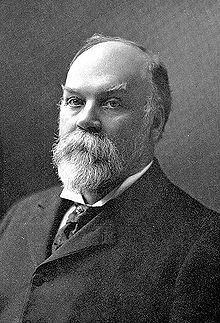 He instituted the ground-breaking policy, ‘Goods satisfactory or money refunded.’ Timothy nurtured his staff by reducing the 12-hour workday, and in 1898 he held a New Year’s Eve party for 2,000 of his employees. He seated them at tables around the store with fine white linens, silverware and more than 100 turkeys. It may be a stretch to suggest that the demise of the family business in 1999 was due to a lack of a hero at the helm. But it certainly didn’t help. Look at many of the businesses and corporations we most admire and respect today; they are usually launched, led or managed by passionate, innovative leaders who have become heroes to many. In fashion, think Coco Chanel, Ralph Lauren and Tom Ford. Elsewhere, think Bill Gates, Richard Branson, Steve Jobs, Sheryl Sandberg and Oprah Winfrey. These legends embody the characteristics of a hero with their originality, daring, determination and commitment. People want to work for companies that are led by heroes. People also want to buy stuff from companies that have a hero at the helm. Companies spend a lot of time and money in developing their brands and today’s entrepreneurs and business leaders can be an integral part of that branding. Personally, I think those of us in business could benefit by highlighting the heroic events and qualities that got us to where we are today – for instance, by making a list of where in our careers and lives we believe we have shown: a) courage, b) passion, c) selflessness, and d) caring. and then bring these qualities to the forefront of our stories. After all, it is these events and situations that have made us who we are. In our increasingly cynical world, we have never been hungrier for responsible, focused, authentic visionaries whom we can look up to and who prompt us to be the best we can be. Yes, we still need our heroes and I believe there is an opportunity to release our inner hero to take us to a much higher level in our life and work.